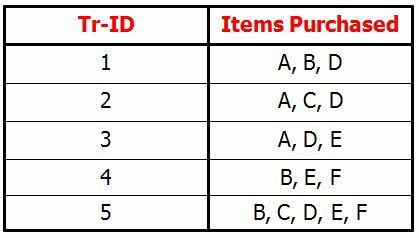 If we think of the Universe as the set of items available at the store, then each item has boolean variable representing the presence or absence of that item. Each cart can then be represented by a Boolean vector of values assigned to these variables. The Boolean vectors can be analyzed for buying patterns that reflect items that are frequently associated or purchsed together. A confidence of 60% means that 60% of the customers who purchased a computer also bought the software. 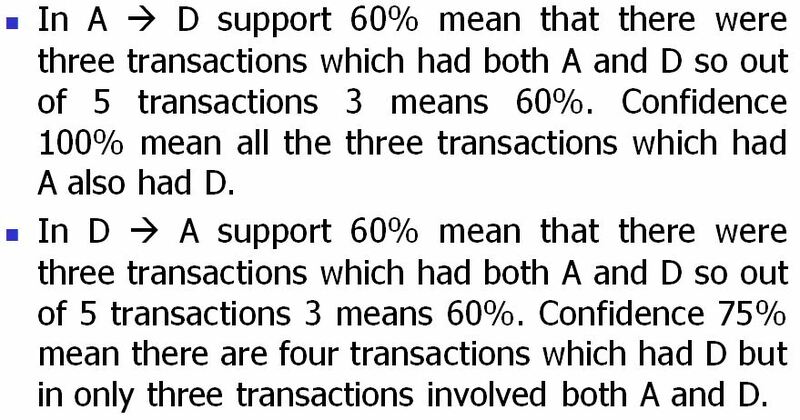 Typically, association rules are considered interesting if they satisfy both a minimum support threshold and a minimum confidence threshold. Such thresholds can be set by users or domain experts. Additional analysis can be performed to uncover interesting statistical correlations between associated items.